Mighty Morphin Power Rangers come to life with these great mini-figures! 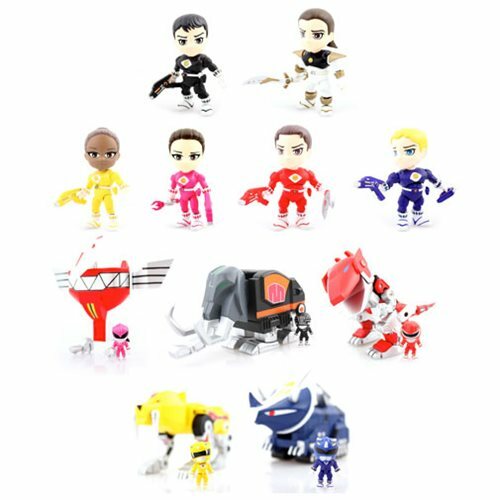 This Mighty Morphin Power Rangers 3-Inch Series 2 Random Mini-Figure is one in a line that features some wonderfully stylized vinyl mini-figures of your favorite Rangers and most iconic characters from the show. Each figure measures 3-inches tall, features a removable helmet, and is blind-box packaged with 10 points of articulation for fun posing. This awesome collection even features rare chase figures for you to try and collect. You will receive one (1) blind-boxed mini-figure. Please note: This item may have variants randomly inserted throughout the production run. We cannot accept requests for specific variants, nor can we accept returns on opened items. The item you receive may be different from the one pictured. Ages 14 and up.